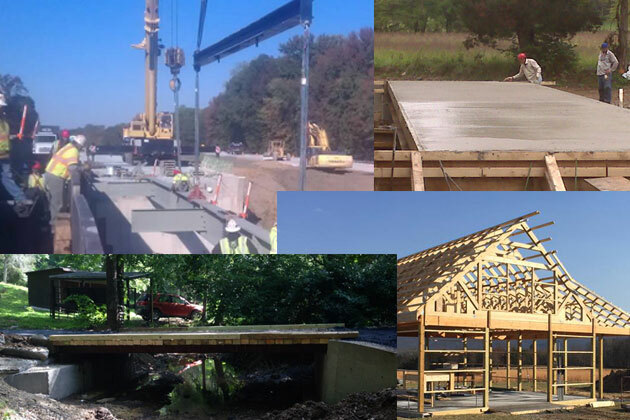 Box culverts, retaining walls, trench drains, pre-cast, beam span, pre-fabricated bridges. Prefabricated metal buildings, building foundations, wood frame buildings, and shelters. Additions, garages, new construction, rebuilds and interior work. Call us for your next big construction project and know it will get done on time and on budget. Our lengthy experience in all aspects of construction ensures your project will be handled efficiently and be built to last. We have the flexibility of scaling up or down quickly to meet the needs of your project, large or small. Our fleet of equipment is ready to handle whatever your project calls for.